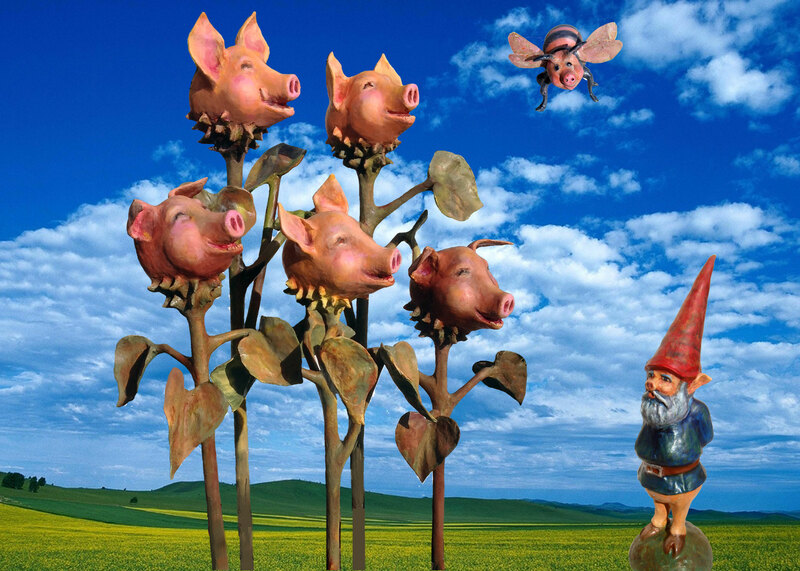 At long last, the Laughing Pig Flowers have arrived! Together with Pignome and Bumble Pig, they represent an uber-race of genetically modified organisms (GMOs) developed by Monsanto Gardens with the express purpose of bringing joy to the world. 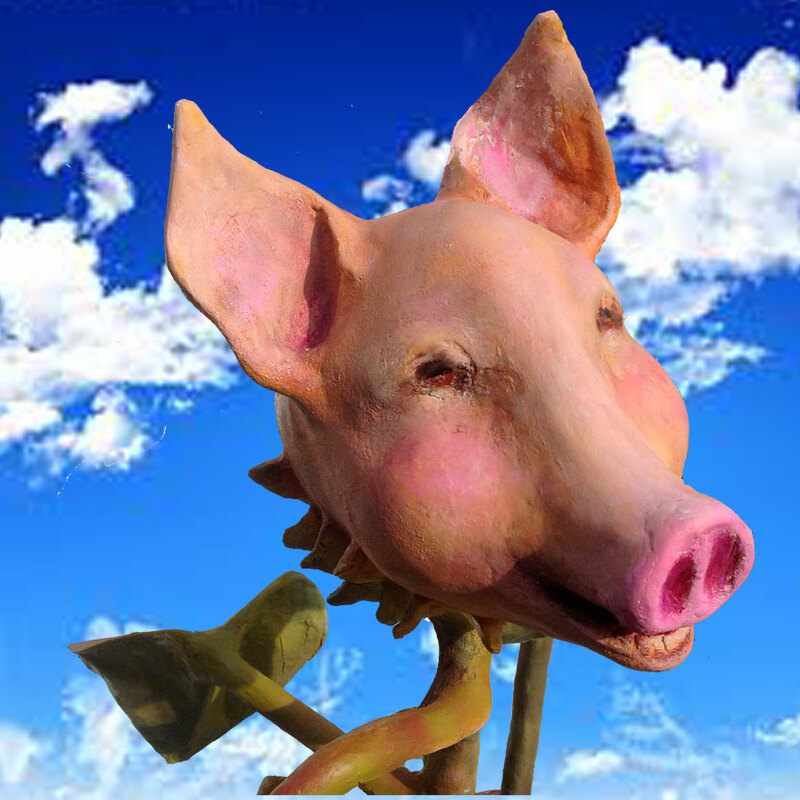 Like all Monsanto products, Laughing Pig Flowers are RoundUp Ready. Just pour RoundUp from the handy-dandy RoundUp Watering Can to eliminate all other life forms except organisms patented by Monsanto. 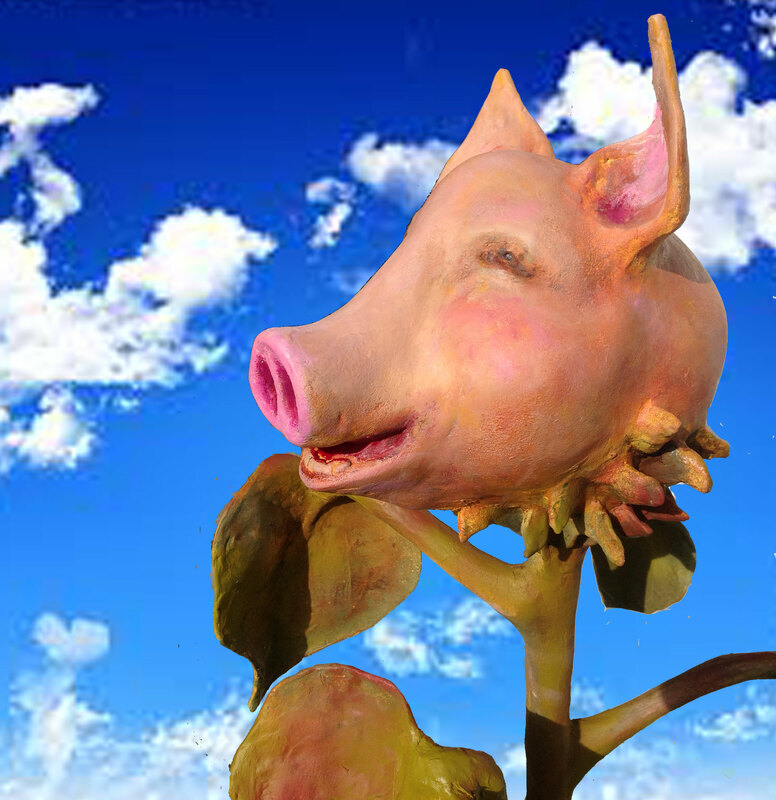 While no where near as astounding as a drift of pig flowers, scientists in China have developed glow-in-the-dark pigs. If you don’t believe me, click here for a peak.